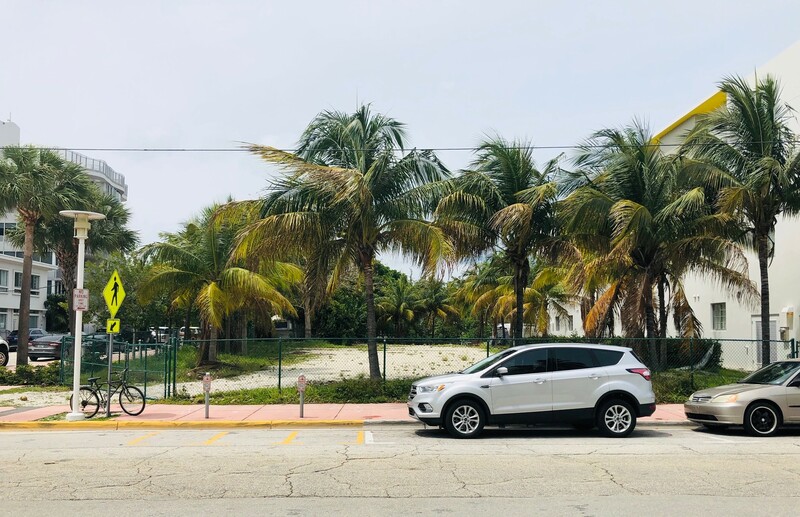 Miami Beach Planning staff and members of the Commission’s Land Use and Development Committee are supporting a proposal for reduced parking requirements in Collins Park as a way to incentivize development. The ordinance, considered by the Committee this past week, was initially proposed by Enrique Colmenares whose Ecotel LLC owns a vacant lot at 2206 Park Avenue. 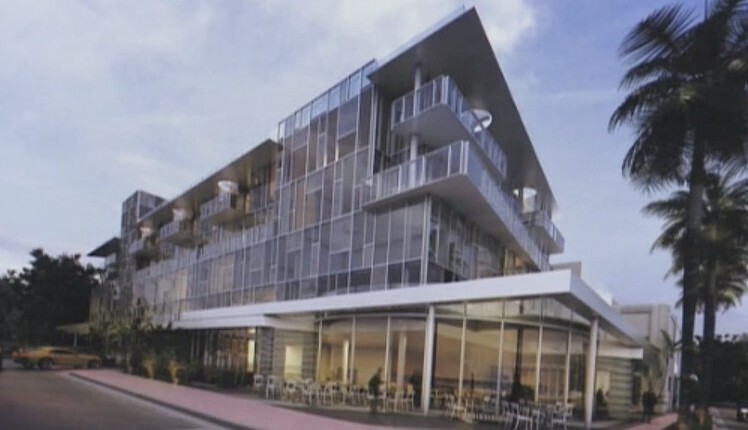 Colmenares wants to build a boutique hotel on the site. The ordinance includes reductions in off-street parking requirements and a reduction in the minimum hotel unit sizes for properties located within the Convention Center District bounded by the Atlantic Ocean on the east, Washington Avenue on the west, 23rd Street on the north and 17th Street on the south. Additionally, the minimum hotel unit size would be 200 sq ft. Currently the minimum unit size for hotel units in the area is between 300 and 335 sq. ft. There would be no parking required for new hotels in the district. The proposal would create a new parking district number 9 within which there would be reduced parking for restaurants, outdoor cafés or bars as well as retail stores, food stores, or personal service establishments. City Planning staff recommended more lenient terms than the developer which the Committee agreed with and included in their recommendation to move it to the full Commission this week for referral to the Planning Board. The developer suggested no parking requirements for restaurants, outdoor cafés or bars with less than 100 seats provided the establishment is within 1,200 feet of any parking garage. City staff recommended 200 seats. The original proposal included no parking requirements for retail or food stores or personal service establishments of 2,500 square feet or less provided that the use is within 1,200 feet of any parking garage. City staff suggested 5,000 sq. ft. 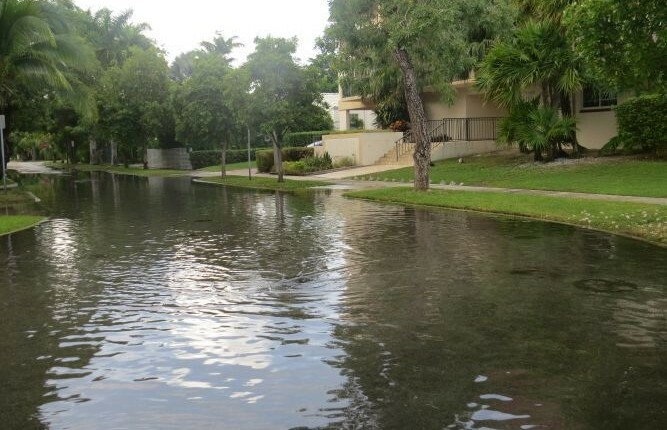 In addition, according to a memo containing the referral item, “Any building or structure erected in parking district no. 9 may provide required parking on site as specified in parking district no. 1. Such required parking, if provided, shall be exempt from FAR” or Floor Area Ratio which is used to measure density. In considering reduced parking requirements, Larkin said, “There are different ways you can prove uber and Lyft are having a demonstrative effect on [City] revenues.” Aside from a great deal of anecdotal evidence, he said, there is data to back it up. Colmenares wants to build a five-story hotel with 120 units on the site with a ground floor restaurant fronting on Park Avenue and a piano bar in the center. Seating would extend out to the Collins Canal according to Larkin. The project is being designed by architect Kobi Karp. 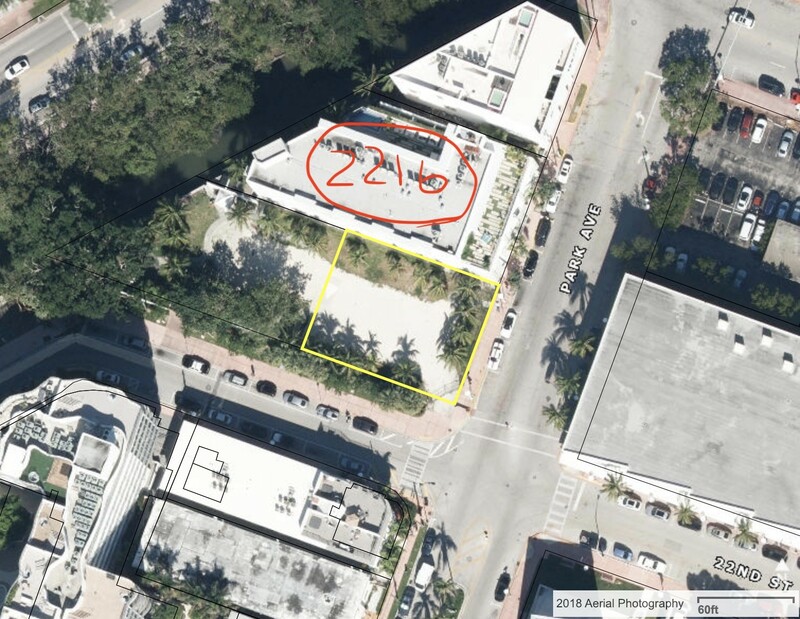 The lot is just west of the Miami City Ballet and next door to the Eurostars Vintro Hotel at 2216 Park Avenue which The Real Deal reported Colmenares’ Encotel LLC sold last year for $20 million. With regard to the 5,000 sq ft retail footprint, he said, “Those aren’t big box but it’s going to give more flexibility” on tenants that can locate within these buildings. “We also suggested that if they end up being over that, rather than them paying a one-time fee for the new construction that they be able to avail themselves of the annual fee in lieu [of parking] which is a much more manageable way to satisfy that parking requirement,” Mooney said. Mooney also noted the City’s new garage on 23rd Street will have “between 5 and 600” spaces. “It’s big,” he said, providing plenty of parking for the surrounding area. The referral to the Planning Board can be found here. Could Hotels be Coming to Lincoln Road?